Tropical, multicultural Miami, vibrantly in the now, encompasses diverse neighborhoods spreading from beautiful Biscayne Bay and the Atlantic Ocean to the mysterious Everglades. It’s a tropical city where the sun glints off exotic foliage, turquoise water, and glass high-rises. It’s young, trendy and fast-paced, thriving on the colorful diversity of its residents. 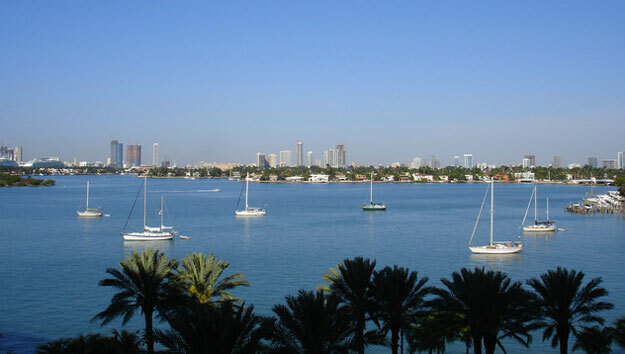 Many of the sights, history and activities that give Miami its unique vibe are found in glitzy, glamorous South Beach and Miami Beach, amid the gleaming high-rises of Downtown Miami, in artsy, tree-shaded Coconut Grove, along lovely avenues of gracious Coral Gables, in artistic, edgy Wynwood, and along bustling Little Havana streets. The ultimate ticket to popular Miami attractions comes with a GoCard. 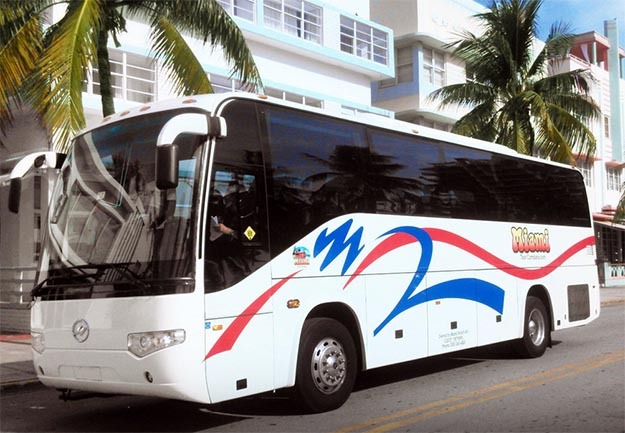 Check out these exclusive coupons for purchasing a Go Miami Card of your choice. 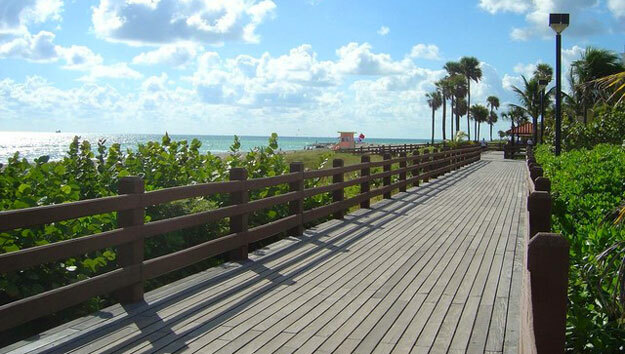 In Miami, you can get close to sealife, wildlife, birdlife in a man-made habitat or in the wild. Some choices are close to Downtown, others further west. Close to Downtown, encounter topical jungle foliage, exotic birds, monkeys and more at Jungle Gardens, created on an island between downtown and South Beach. Or, spend the day with marine animals fro dolphin and manatees, to alligator and darting tropical fish in Seaquarium on Key Biscayne, a few minutes from Downtown. Travel about 1 hour west for a great day at vast ZooMiami experiencing the natural world of animals from all over the globe living in environments created to mimic their natural habitats. Head west about 1.5 hours from downtown Miami for a thrilling airboat ride through they mysterious Everglades. Get out in nature by taking your pick from the great choices below or make time to visit them all, especially if you’re traveling with kids! While vacationing in a tropical city surrounded by the Atlantic Ocean, getting out on the water is a special part of the Miami experience. See the Miami skyline, sleek yachts and towering gleaming white cruise ships, island mansions of the rich and famous, long white beaches and the delicate pastel Art Deco “Painted Ladies” lined up along Ocean Drive. See the beautiful panorama while relaxing on a 90 minute scenic sightseeing boat cruise in the air-conditioned comfort of a salon or in the tropical breezes of an open top deck. Kids have a blast on a 90-minute thrill ride on a go-fast boat. Or, spend an hour out on the bay, dancing to music spun by a DJ on a moonlit night with the skyline glittering in the distance. Find the perfect one and get out on the water using the coupons below. Unlike big cities with central urban cores interconnected by mass transit, Miami is spread out over a large area and has minimal mass transit. Getting around is mainly done by car. A great way for visitors to get around and see the attractions is on a narrated sightseeing bus tour. You’ll get a great overview while traveling high above the traffic in comfortable motor coaches with big viewing windows or on double decker buses with viewing windows below and open top decks above. Narration by informative on-board guides or via audio in several languages brings sights to life. Depending on your sightseeing preferences, you can choose the flexibility of a hop off/hop on narrated tour with loops covering must see neighborhoods and sights. Stay on for the full 1.5 hour complete loop or hop off at any of the multiple stops when you come to a place you want to explore on your own. Pick the sightseeing tour that works for you from the ones offering coupons below. Active teens, young adults and travelers who enjoy the outdoors jump at the chance to sightsee in the beautiful Miami weather while gliding upright on a Segway. Segway tour groups are usually small, led by engaging guides who pass on a lot of history, interesting facts and fun trivia along the way. 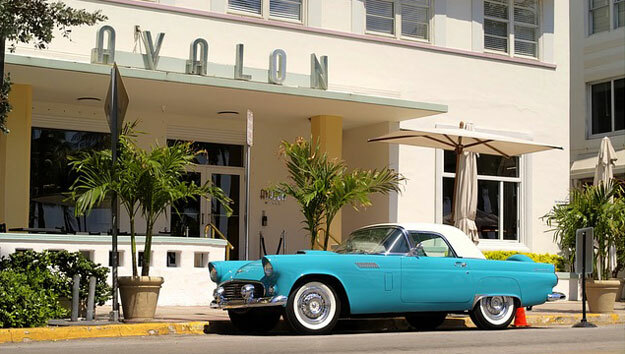 Glide through glamorous South Beach, passing gorgeous beaches and people; see fanciful, futuristic details up-close on Art Deco buildings; pass by trendy cafes, poolside lounges, A-list nightspots and legendary SoBe sights. For a change of pace, glide along Miami Riverwalk in Downtown Miami, always within sight of water. Riding those odd-looking machines is not for everyone. Local residents of South Beach bike everywhere and you can too. 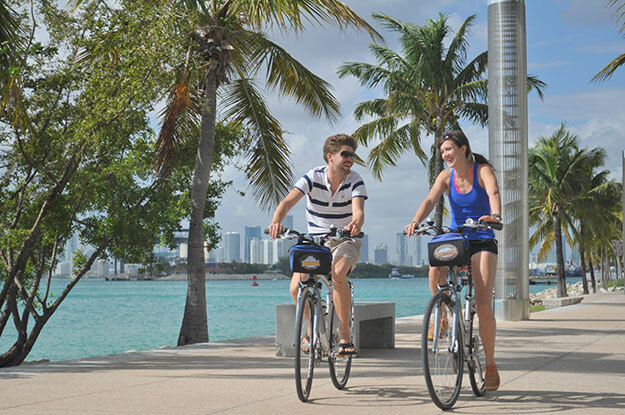 See SoBe like a local and get a taste of it too on a leisurely bike rental or tour. See iconic sites and pop into several off-the-beaten-path small eateries for tasty samplings. Biking or gliding, see Miami close up on any one of these tours while saving using the coupons below.